A new edition of what is commonly seen as the legendary Norwegian writer's masterpiece. Siss and Unn are new friends ? so new that they have spent only one whole evening in each other's company. But so profound is that evening that when Unn inexplicably disappears Siss's world is shattered. Siss's struggle with her fidelity to the memory of her friend and Unn's fatal exploration of the strange, terrifyingly beautiful frozen waterfall that is the Ice Palace are described in prose of a lyrical economy that ranks among the most memorable achievements of modern literature. 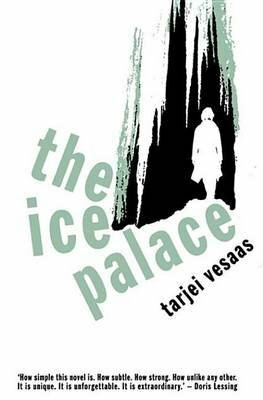 Tarjei Vesaas is regarded as one of the finest writers ever to have come out of Scandinavia ? he is notable for having been nominated for the Nobel Prize three times and has been considered one of the greatest prose stylists never to have won. Nevertheless, his reputation is secure and growing all the time. Peter Owen has long considered The Ice Palace to be the greatest work ever to have come from his publishing house, which boasts seven Nobel Prize winners on its list.